The Challenger newspaper. We are the only independent Health, Rehabilitation, Seniors and People With Disabilities newspaper serving Nevada. Publishing for 14 years. 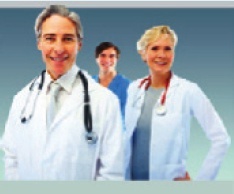 • Educate the general public and people working in health care with news, products &services available in our community. • To unite/network health care professionals, support groups, associations, seniors and people with disabilities. Our extensive mailing and bulk distribution includes: Case Managers, Social Workers, Physicians, Nurses, Therapists, other health care professionals, health care facilities, insurance companies, subscribers, seniors and people with disabilities. Our paper is further distributed to: Clark County Libraries, related health care shows and exhibitions, Support groups, Hospitals and Medical offices, our advertisers offices, related stores and business and senior organizations and groups. - Display ads designed at no charge. - Feature articles of your business at no charge. - Covering your events, promotions, special openings at no charge. - Direct promotion of your business/services with our personal contacts with members of the medical community (Publisher Lee Brasted is also a board member with Rebuilding All Goals Efficiently, on numerous committees involved with health care). In short, we not only publish a monthly paper closely associated with your business/services, we also are an active participant/liaison for your business in the community. There is no publication in our community, related to our content described above, that has lower rates. We even provide special discounts for first-time advertisers.